Item number Edz2271 from the MOA: University of British Columbia. 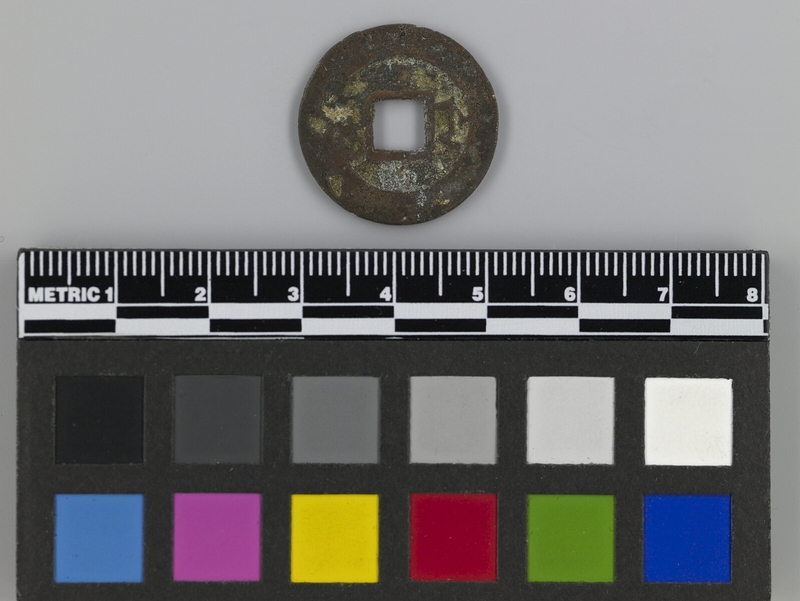 Round coin with a four-sided hole in the centre, and a rim around the outer edge and the centre hole. The obverse has four characters, and the reverse has two characters. Daoguang tongbao (top-bottom-right-left) in Chinese characters are on the obverse; boo je left-right (mintmark) in Manchu are on the reverse. Marks on the top and the bottom reverse; rim flaws, pits; part of the left character reverse missing.